Scania has taken its most recent major step in its transition to using only renewable energy in its production operations. 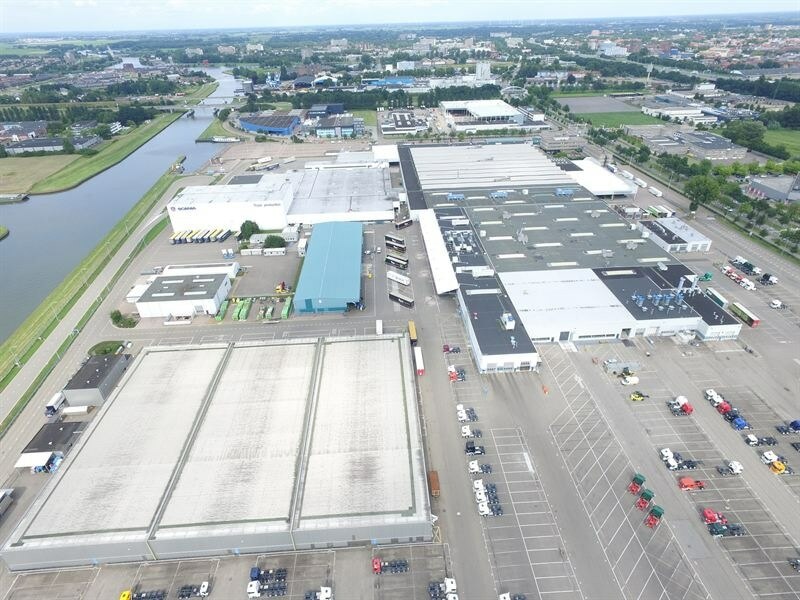 The production unit of the company located in Zwolle, Overijssel, will install the largest solar roof in the Netherlands. The solar roof will contain 22,000 solar panels with an overall energy capacity of 6 MW. Scania is committed to reducing its carbon footprint and throughout the organisation we are now taking initiatives similar to those in Zwolle to enhance energy efficiency. We have set ambitious targets and are well on our way to achieving carbon neutrality. The roof is just one of Scania’s many initiatives in Zwolle to help the production unit reach carbon neutrality by 2020. One example is wind power. In September 2016, Scania Nederland started partnering with the Dutch citizen initiative ‘Blauwvinger Energie’ and Windesheim College, to construct three wind turbines by the Zwolle-IJssel canal, two of which are scheduled to be constructed on the Scania factory area. The turbines for the project ‘Windenergie in Zwolle’ have a capacity of 2-3 MW each, while the rotor diameter of the turbines and the hub height are 100 m.The solar roof has been applauded by the local authority. Scania is amongst those leading the way in energy. As a major employer in our province, Scania is manifesting that it takes energy transition very seriously. Upon accomplishing its 2020 target, Zwolle would become the first Scania production unit in the world to become energy-neutral, but the company as a whole is committed to decreasing its environmental footprint across all its production processes. Scania is a signatory to the UN Global Compact, which has currently been complemented by Agenda 2030 and its sustainability goals.